When you are branching out and trying new recipes on your grill, you may find that the right tools for the job are essential. This basting brush is perfect for preparing steaks, chicken and chops ahead of time. Or it can be used to brush on sauces and marinades to lock in flavors as your food is cooking. The bristles are made of silicone which holds the oils and sauces until you are ready to brush them on. 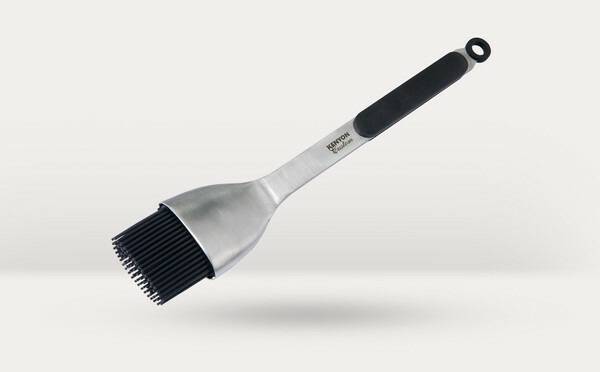 Kenyon manufactures this basting brush from high quality stainless steel. The soft grip handle is removable for better cleaning and the entire brush is dishwasher safe.